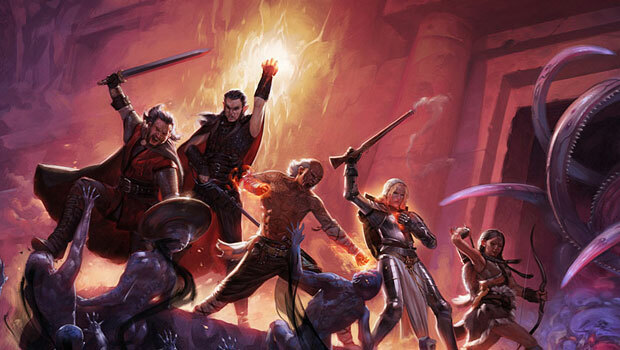 Last month, long-time RPG developers Obsidian Entertainment released Pillars of Eternity, to widespread acclaim. To call it highly anticipated would be an understatement – is a game that raised just shy of $4 million USD on Kickstarter, with more than 70,000 backers – and by all accounts, it lives up to that anticipation. Adding insult to injury, at no point in all their discussion, Obsidian have never apologised. They’ve admitted fault, attributing the original text’s making it into the game to its slipping through the cracks of the vetting process for backer-submitted content. But they’ve never said the words “we’re sorry,” “we apologise,” or even the backhanded “we’re sorry that you’re offended”. Not in their official statement, not in an interview with Polygon, not anywhere that I’ve seen. It’s not good enough. The original “joke” was bad enough, but Obsidian’s handling of the controversy has been pathetic, and only added insult to injury. There’s no indication that they’ve actually learned anything, that they understand the issue at hand. Just mindless efforts to appease the “vocal minority” speaking up. I honestly don’t think the original text missed out on the usual vetting process, as Obsidian claims. I think it went through that fine – the developers just didn’t see it as a problem. What Obsidian ought to do is, first and foremost, apologise. 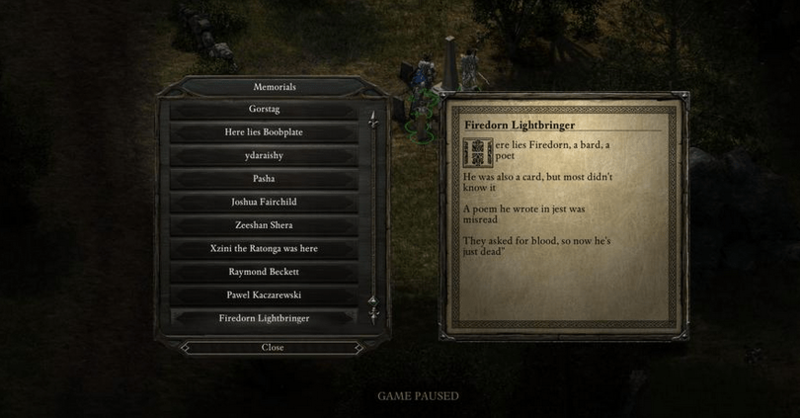 These things happen – they’re horrible, and in an ideal world they wouldn’t happen, but they do – and Obsidian needs to own the fact that they fucked up, and offer a heartfelt apology. Then, they need to remove the memorial from the game entirely. The backer has had two options to deliver a poem that’s not awful, and has failed miserably both times. They’ve squandered their opportunity. I really, sincerely hope they do this. 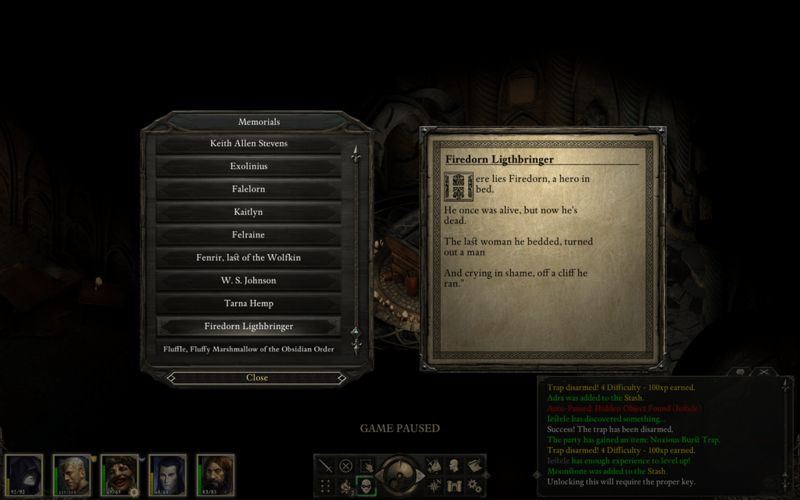 In every other aspect, Pillars of Eternity looks like a wonderful game, and one that I’d enjoy immensely. But I don’ think I can bring myself to give money to a developer who, at least thus far, has shown such callous disregard for one of society’s most marginalised groups.